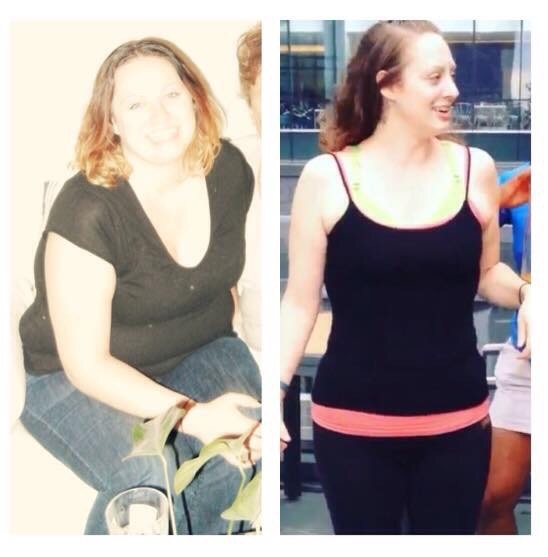 My First 30 Days on Zero Carb by Sarah Knight | Eat Meat. Drink Water. Sarah today on her path to well-being. My story is no different than anyone else’s. I have been overweight most of my life. It wasn’t until a few years ago that I started to actually care. As a teenager and into my early twenties my thought was that I could lose it later, when I needed to. I didn’t think about losing it back then because it took time away from what I wanted to do, which was have fun. I wanted to go out drinking and eat at awesome restaurants. Buy things to make me happy. Food was something that was needed, so I told myself it was ok to eat huge meals, eat beyond feeling full. Then I’d usually go sit and watch tv or go drinking. Now I’m 31 and my priorities have changed. It’s is more fun to focus on being my healthiest, to learn about nutrition, work hard, be responsible for myself and my own actions. One of the steps I took in my late twenties was to admit I did need anti-depressants to function like a normal successful adult. I admitted it was a problem beyond my control, so I got help and started taking a medication called Wellbutrin. And it has helped beyond my expectations. 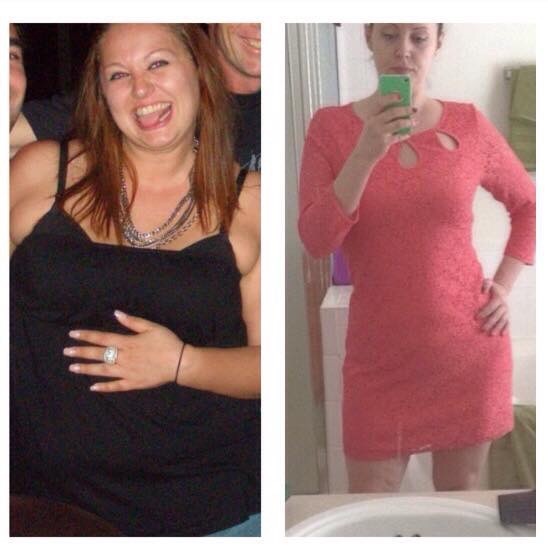 Sarah before and after she lost 45 lbs. on a ketogenic diet. Then I got comfortable, stopped working out, lost my health insurance because of a job change, and I went off my medication for almost a year. I gained about 15 pounds back and felt so gross. My boyfriend at the time introduced me to the ketogenic diet. I wasn’t sold at first, but becuase my carb cravings were out of control I decided to try it. I lost the 15lbs. I found a great new job and got back on my medication. I felt great. However, I then stalled out, and I didn’t lose anymore weight. I was constantly worried about kicking myself out of ketosis, and was making too many “keto” desserts with the artificial sweetener Splenda. Eventually my boyfriend and I broke up, and I returned to living by myself. I was still mostly sticking with the ketogenic diet, but I was allowing too many cheat meals because of my cravings. I was putting weight back on. My diet went out the window completely when I traveled to Philadelphia to work for two weeks. I came home and couldn’t fit into any pants. What was I going to do? I was feeling more motivated than ever to find a solution to my weight problems because I have a vacation to Mexico in June coming up. I was tired of the constant struggle, but I felt that if I did not get a handle on the situation now, I never would. I am vain and I wanted a bikini body for my trip, but I also wanted to be healthy. And I was going to figure out how to do it. I was perusing the Keto subreddit on the Internet one day, and I saw a post asking if anyone does “Zero Carbs” and my curiosity immediately perked. Someone had linked the Zero Carb subreddit and it blew my mind. It blew my mind in the same way that first learning about keto blew my mind. Wait a second, I don’t have to eat the way I’ve been told to my whole life? So I read everything I could in about two days and then deciding to just ‘try it out’ for a while. I gave myself about two weeks. That was 36 days ago. And it has flown by. Being on Zero Carb has been quite enjoyable. My transition was not very difficult because I had been doing a very low carb ketogenic diet for over a year before I started Zero Carb. I didn’t start doing it perfectly right away. The Zero Carb veterans recommended eliminating all artificial sweeteners, but I kept using Splenda and Half and Half in my espresso. It took me almost the whole month to listen to my body and stop using it. After a few weeks of eating an all-meat diet, I just felt like something wasn’t quite right with my body. It has been easier to notice when I feel off and I am able to better hear what my body is telling me since I started Zero Carb. I could tell that the Splenda was not agreeing with me, so I gave it up. I am still drinking espresso, but am not using any artificial sweetener and have stopped using the Half and Half. Now I’m using Heavy Cream and that feels better for me. Looking at my naked body daily in the mirror has been fascinating. I saw myself in the first two weeks just kind of deflating. I wasn’t necessarily losing fat, I am sure is was mostly just water, but I could see myself becoming leaner. Other benefits I have noticed so far: My skin has cleared up. I’ve always had problems with slight acne on my back and face. It’s gone now. My nails are growing at double the speed that they have my whole life. I’ve gotten my period twice now since starting Zero Carb and I did not experi nice any menstrual cramps or lower back pain which is like a miracle. I have also had problems going to the bathroom my whole life, and now my bowels are functioning easy and regular. When I was doing a ketogenic diet, I had to take magnesium in order to prevent rapid heart rate, chest pain, achy joints, and muscle spasms. Since transitioning to Zero Carb, I have not needed to supplement with magnesium. I have also lost 8 lbs. since I started and now weigh 175 lbs. and I have a lot more energy. Also, I don’t need as much sleep anymore which really threw me for a loop. I usually get up at five am for work, and I’m pretty physically active during it, so I had set up a 8:30 bedtime for myself these last few years. I’ve always been a big fan of sleep. Since starting Zero Carb, I just lay in bed until almost midnight sometimes with my mind running. At first, I thought maybe I was having caffeine too late in the day or something. But after a month of this I’m pretty sure its the Zero Carb way of eating and it’s taken some getting used to. I do still have trouble getting up in the morning, though not as much, and I hope to get to the point where I’m not hitting the snooze button at all. I joined an online health community at the same time as starting Zero Carb. I workout in the privacy of my own home four nights a week and I can see a difference in my body. I am gaining muscle for the first time ever and its awesome. My legs are starting to look like solid tree trunks. I have upper arm strength I didn’t have before. I can do actual push ups now. Not knee push-ups – real, full body push-ups. I can feel my hip bones through my skin, I couldn’t before this. And I can see what my body is supposed to look like under the fat I still have. I’ve spent less of my life planning meals, or going on shopping trips, since starting Zero Carb. I also go out socially way less, but I don’t miss it. I don’t want to be tempted and give in, or feel unsatisfied. Plus, I save money by not eating out as well. Sarah shortly after starting her Zero Carb journey. There are times that I want other foods besides meat. I’ve gave in once during this first month. I went on a date, I chose to drink alcohol, and later – because we had been drinking and it’s easier to make bad decisions at that point – I chose to eat carbs. I didn’t want to explain to my date my food lifestyle. And I didn’t plan ahead. It tasted great while eating it. Those sweet sweet carbs… However, it didn’t taste great when my body threw it all up later that night! Ah well, live and learn. They say experience is the best teacher. So, not wanting to go through that again, I’ve been good ever since. I’m still over weight, and am still making up for 30 years of bad choices, but I look and feel so much better now after only 30+ days of eating only meat. I already know there is no going back. This is such a fun journey. Anything else before this wasn’t fun. I am fascinated and excited. What a wonderful way to feel all the time. So like I said, my story isn’t any different than most, but maybe – precisely because it IS similar to most – it can be of help to others who read it. My hunger has been all over the place, so I can’t really provide an average amount of meat for lunch or dinner. It varies quite a bit at this point depending on my appetite. I try to eat until I feel satisfied though. I do add salt to my food for flavor. 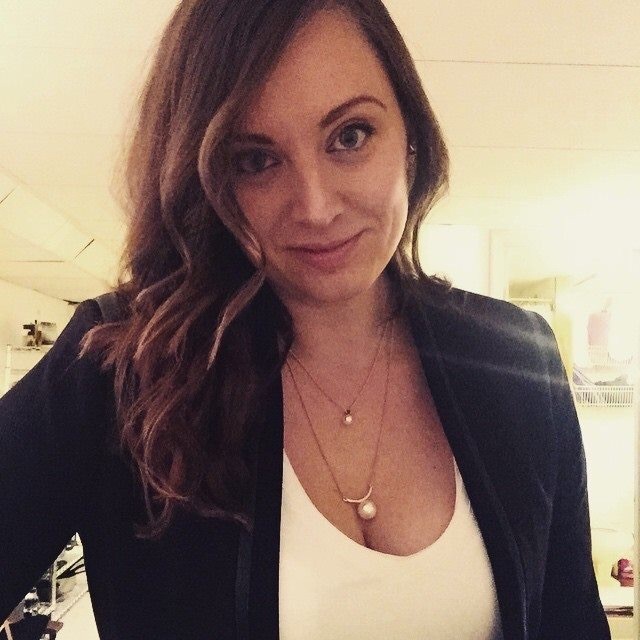 This entry was posted in Testimonials and tagged Diet, Dysmenorrhea, Fat, Health, High Fat, Keto, Keto-Adapted, Ketogenic Diet, Ketosis, LCHF, Low Carb, Meat, Menstrual Pain, Nutritional Ketosis, Paleo, Paleolithic, Primal, Weight Loss, Zero Carb by esmeelafleur. Bookmark the permalink. Wow. You are an inspiration. I see you eat three meals, like I do. Most zero carbers only eat twice a day. My appetite is all over the place also.